With the new Trump presidency and cabinet now in place, what will the housing market look like for 2017? There have been some predictions and some unknowns. Coming off a strong 2016 real estate market, we’re slowly seeing a slight change in interest rates and rising property values. So what’s to come? Will Donald Trump’s presidency and policies change the housing market and the growth we’ve seen? Consumer confidence and the stock market showed positive signs after the election of now-President Donald Trump. Fannie Mae is maintaining a conservative forecast for 2017. According to Fannie Mae’s economic and strategic research group, the economic growth projection is predicted to be 2%. We’ll get a better glimpse of policy changes and the plans for this new White House now that the festivities are over. The president and his new cabinet are starting their new positions, and they have a lot of changes and new ideas to implement. Improved consumer spending, a friendly labor market and rising household wealth should continue to support consumers. Fannie Mae also pointed out that government spending and inventory investment will add to growth in 2017. Mortgage rates should rise slowly throughout the year to 4.3%, but there is still a risk that rates will rise faster and higher than the forecast. It’s hard to read the political tea leaves so early on. There are a lot of variables and contributors to the housing market, jobs, trade, the value of the dollar, consumer spending, international conflict, etc. 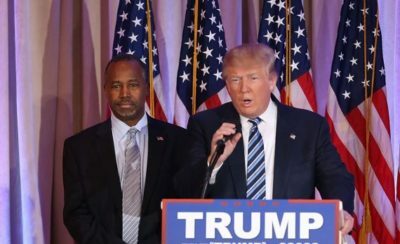 Dr. Ben Carson being appointed the HUD Secretary is an interesting choice, as was the immediate suspension of the FHA mortgage premium cut on President Trump’s first day as president. Keeping tabs on the first-time home buyer market and keeping FHA buyers on board will be crucial to keeping a strong and steady real estate market. Without first-time home buyers, second timers aren’t able to move-up, etc. It’s really a necessary cycle that begins with the first-time buyer, middle class, and those without the greatest wealth. That’s the level of the chain where growth either starts or stops. Some have argued this past week that the average savings of $500 a year that President Trump suspended is a good thing, and home buyers that are affected by this savings likely shouldn’t be buying homes to begin with. I’ve read a lot of really backwards and awful things, as most of us have. Some have supported the suspension and strongly argued that high-risk buyers (those not putting at least 20% down with a 720+ credit score), are the reason the housing market crashed previously. This is simply not true. 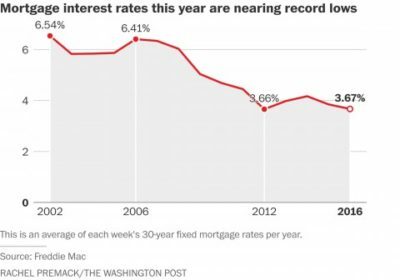 The reason that the housing market crashed was due to high-risk loans being given to buyers that didn’t need to show verification, didn’t have to put a single dollar down, and some even getting cash at closing, etc. Those loans should have never been given to home buyers in the first place. The banks practiced the high-risk gamble, but they got bailed out leaving the real estate market and home owners in shambles. There were many loans previously given with an adjustable rate mortgage (ARM), and many home buyers lost their homes when their mortgage payments increased dramatically. When neighbors lose their homes and foreclose, values in the area go down, making equity shrink and less home owners being able to sell. That’s my best attempt at a brief synopsis covering the reasons why the housing market crashed almost decade ago. FHA loans are a vital part of our housing market and are not a part of the previous high-risk loan scenarios. You must have a current job. You must have had a job for at least two years. You must have a credit score of at least 580-620+. Everything is verified. There are no more $0 down loans. 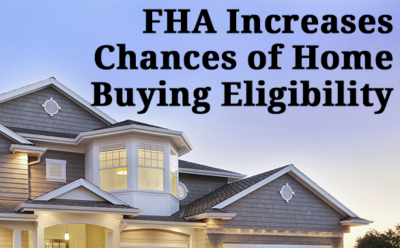 With FHA, you are putting down 3.5% of the purchase price. The $500 mortgage insurance credit that was just suspended was just a way to help average home owners save a few dollars a year on what they’re paying extra on already. FHA is a great loan product and option for many first-time home buyers. It’s an affordable way to own a home and get out of the rental cycle. FHA buyers are a huge part of our neighborhoods and local real estate markets. So what does 2017 have in store for the real estate market in general? It’s hard to predict without knowing what other plans the current White House has. A lot will depend on drastic changes or if they maintain the status quo. Serious delinquency rates on single-family homes are down to 4.5% from 7% in 2008 and 10% in 2011. We’re at the lowest we have been since 2008. The average credit score has risen from 620 in 2008 to 680 today. Many home buyers that foreclosed on a home previously are now able to buy a home again. Naturally, every market around the country is unique, as are housing prices and trends. In Northeast Ohio, we’ve seen an increase in home values, buyer ability and low interest rates. Oddly enough, it’s almost a market for all. A buyer’s market and a seller’s market at the same time. Many sellers that were “stuck” in the previous years are now finally able to sell and move up. My personal prediction for the Cleveland, Ohio, area is that we’ll see a steady, continued growth with more current home owners jumping on the selling wagon that’s finally come around. New home buyers will continue to enter the market to get out of the high-rent cycle they’ve been in. Since the housing crash nearly a decade ago, the rental market increased. High demand for rentals made it more expensive to rent than to now own. 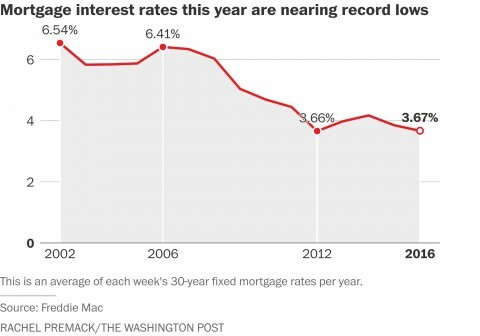 Remember, even with interest rates slightly rising to 4.3%, they were above 6% 10 years ago. If you’re considering buying or selling a home in the Cleveland, Ohio area, contact me anytime via email to discuss your options and goals. I assist home buyers and sellers in all income ranges, cities and situations. I work with the best lenders and experts in the area. After fourteen years in the business, I’ve narrowed down the best of the best. It really makes a huge difference when you work with the right people. View my Bio, search all homes for sale on this site using my Ohio MLS search, download my RE/MAX Home Search app for Android here, or simply call me and let’s chat. 216-323-4620. Follow me on Facebook, Twitter and Instagram to stay connected and for great tips, news and information.